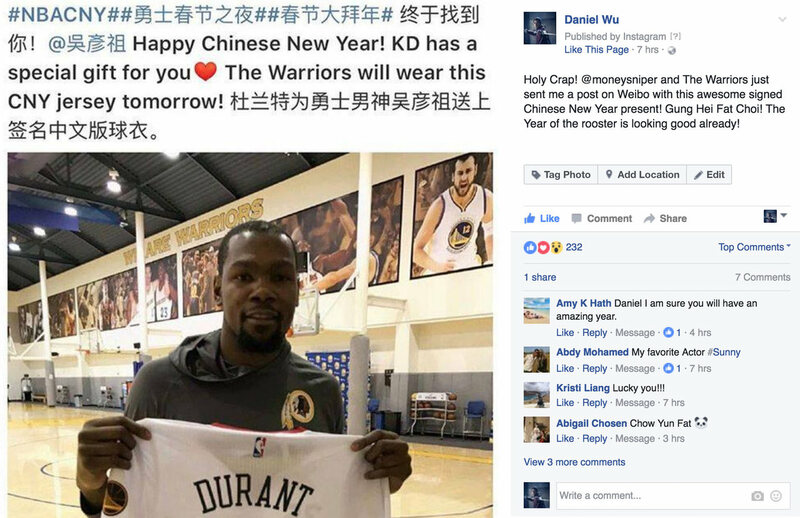 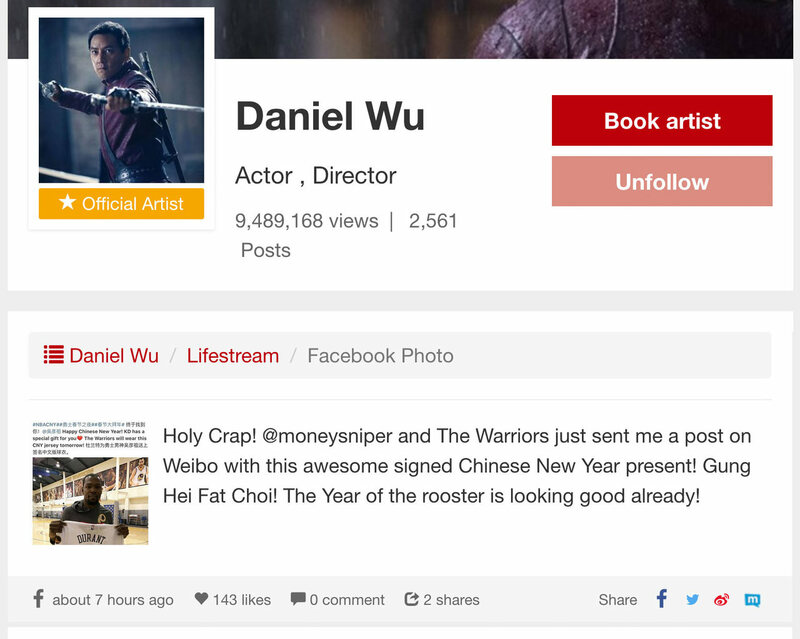 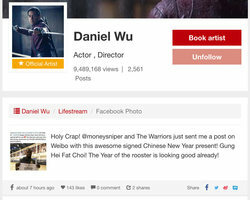 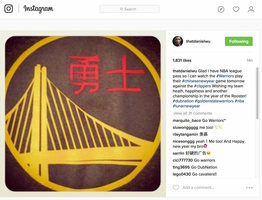 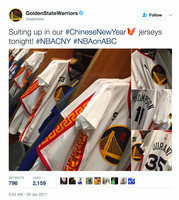 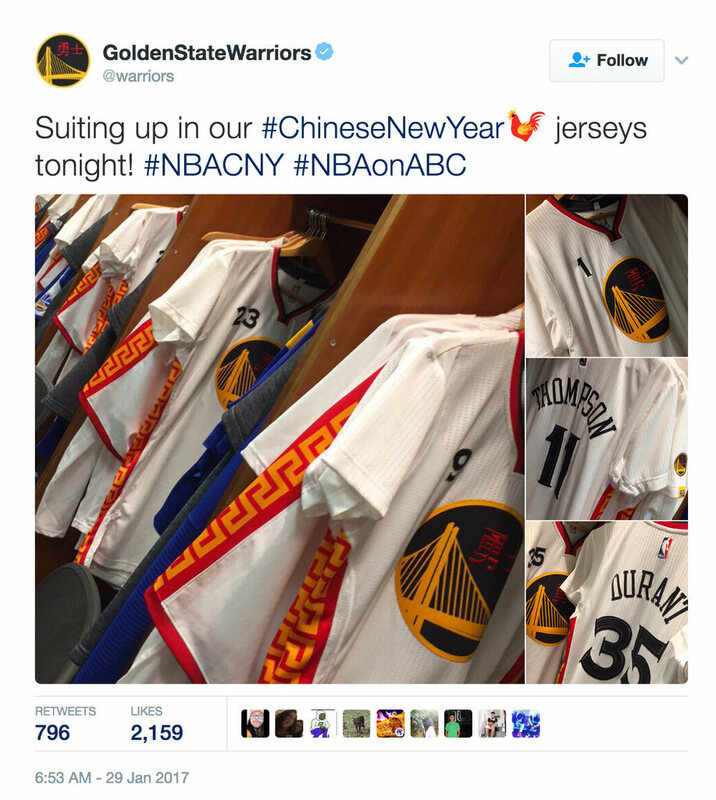 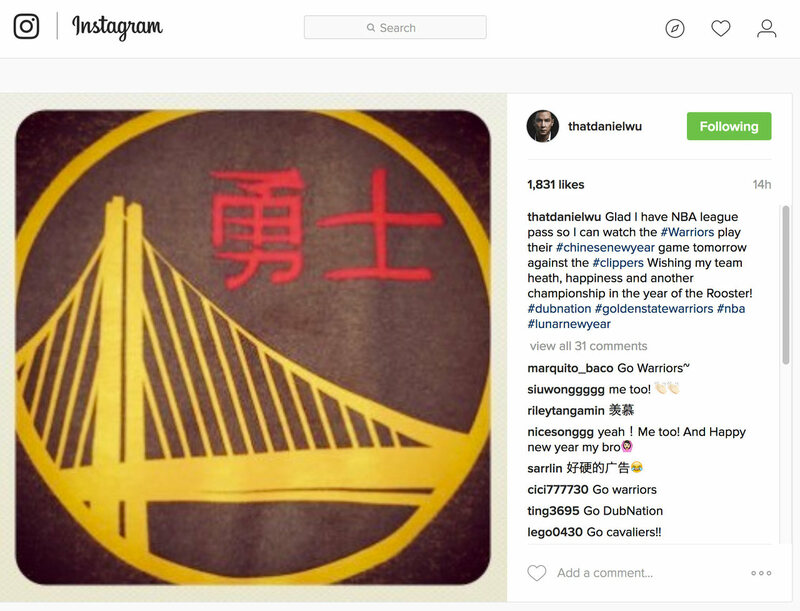 The alivenotdead.com community helped connect the NBA's Golden State Warrior with Chinese-American actor Daniel Wu to help promote their special Chinese New Year jerseys worn during their January 28th game against the LA Clippers. 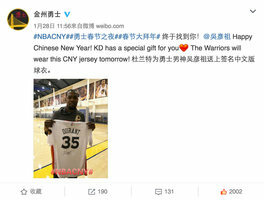 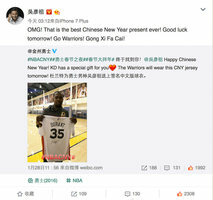 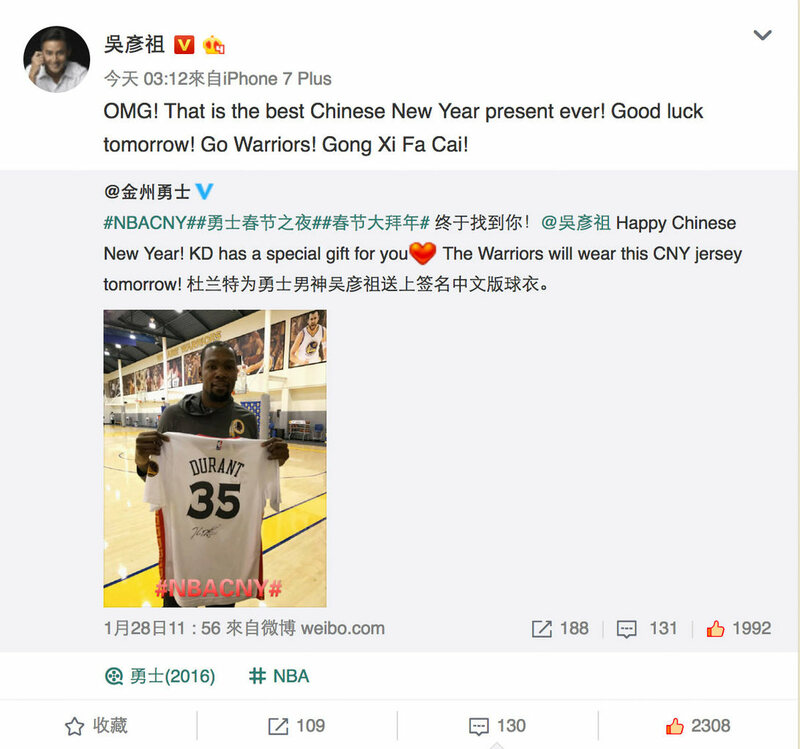 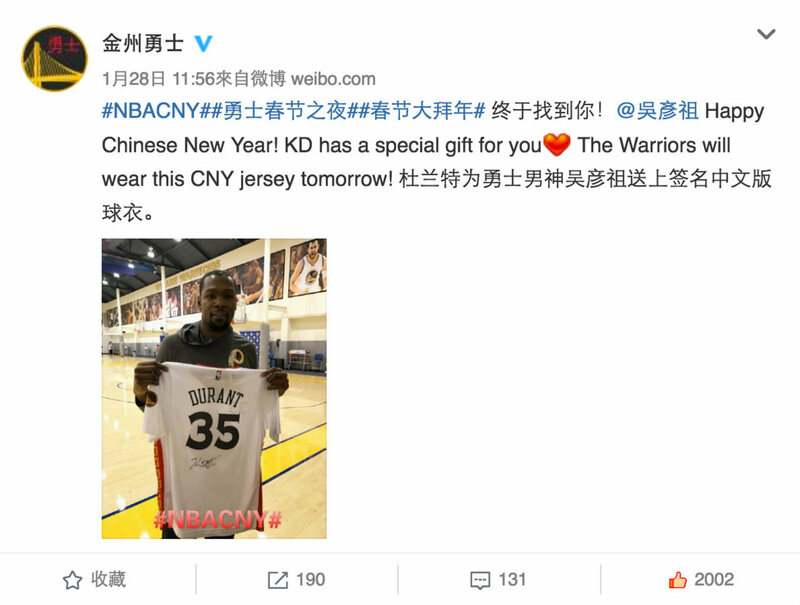 On their official Sina Weibo account, Golden State posted a picture of super star MVP Kevin Durant holding up the jersey and thanking Daniel for his long time support of the team. 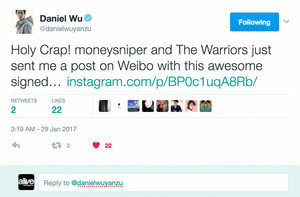 Daniel shared the post on his weibo to his 8 million followers as well as sharing on his Instagram, Facebook and AnD official artist profile.